‘Tis the season to be jolly, merry, and ever so slightly stressed out—particularly when it comes to gifting. The process of gifting can be fun and satisfying, but also terribly puzzling, especially if a friend or family member has a specialized hobby with a unique lexicon and complicated gizmos, gadgets and who-knows-whats to choose from. For non-woodworkers, sifting through woodworking gifts can be like entering a foreign country. Highland Woodworking artisan Cooper van Rossum said it is helpful to have a few questions answered before starting the gift hunt. For example, it is important to find out whether a person prefers hand tools or power tools or whether he or she is a fan of a particular design style or period. “No one wants to do investigative reporting, but try to start a conversation with the person about their work,” Cooper said. 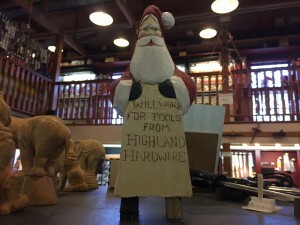 When shopping in-store for experienced woodworkers, Cooper said it is helpful to bring pictures of the work someone does so Highland employees can make better gift suggestions. 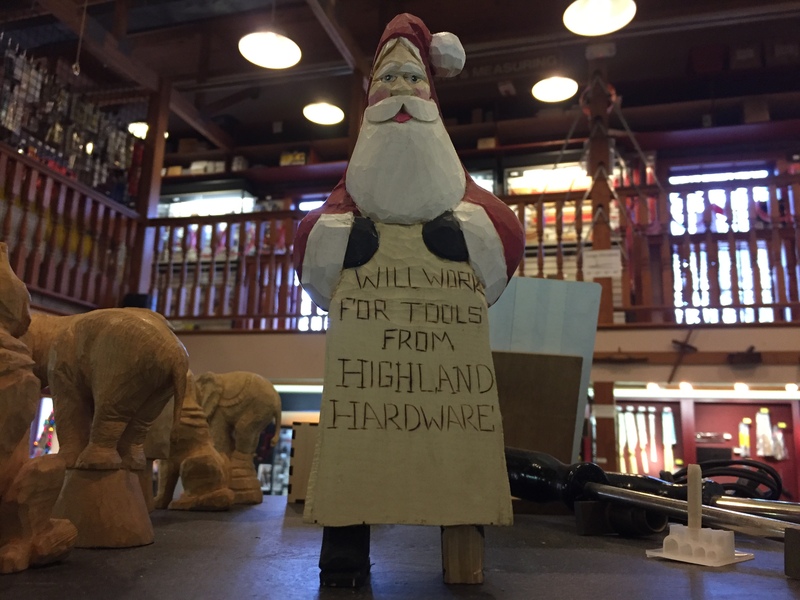 Below are some of Highland Woodworking instructor, Sabiha Mujtaba, and Cooper’s ideas to satisfy every woodworker on your shopping list. For beginning woodworkers, Sabiha said it is best to avoid overly complicated tools or machines requiring extra inputs as these can overwhelm and turn off newcomers. If your friend wants to start woodworking, but they do not yet know what kind of projects they like (turning, carving, furniture making etc. 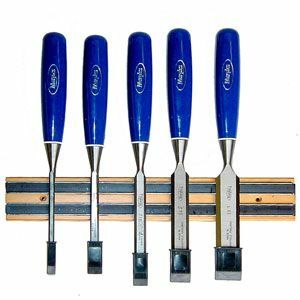 ), Sabiha suggests starting with a basic boxed set of carving tools or chisels. 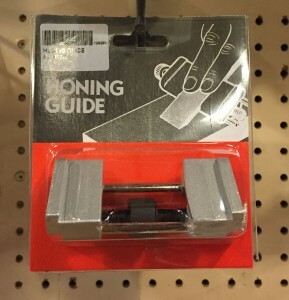 “Those give you all the different styles of tools and sometimes when giving a gift you want to start with something that has a complete set,” Sabiha said. In addition, Sabiha recommends the carving sets as they are nicely packaged and have presence under the tree. Even for skilled woodworkers, the sets never hurt as Sabiha said it is hard to have too many of a given tool. If you go with a chisel set, Cooper strongly recommends pairing it with a basic Honing Guide and “1,000/6,000” Combination Stone so that the recipient can sharpen his or her new prized tools. Without sharp tools, the learning process can be unnecessarily challenging, Cooper said. For experienced woodworkers, Sabiha and Cooper both said it is important not to stress about whether a person already owns an item. “With some things like sets of drill bits, it really doesn’t matter is you have lots because they wear down,” Sabiha said. For advanced or beginning turners, Sabiha recommends getting colored wood pieces for turning wine toppers, pens, or bowls. If someone usually turns furniture legs or items such as peppermills, it can be fun to get them gifts which introduce a new area of turning-such as bowl making. Sabiha, a veteran carver, also suggests getting beginning carving items for any type of woodworker so that they can embellish their work, no matter the style. 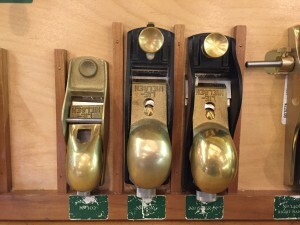 If someone just began putting together a dedicated shop at home or if they are one who likes an organized workspace, Cooper points people to Magnetic Tool Holders. These are a fairly inexpensive investment that can clean up a shop, and they vary in style from basic metal strips to magnets camouflaged behind an elegant wooden cover. To spruce up a shop, Sabiha suggests either a poster with useful measurements or one of the more artful posters. 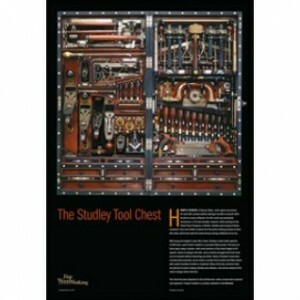 The Studley Poster, featuring the famous woodworker’s handmade chest, is particularly popular among Highland shoppers, Sabiha said. Parents or friends shopping for kids can start with a number of ready-to-go kits, such as the Red Tool Box series (each labeled with age recommendations and the basic tools needed to get started), which are great projects for kids and parents to work on together. For kids who have already demonstrated an interest in woodworking, Highland also offers a complete Woodworking Tool Kit for Kids, which Cooper suggests pairing with a book to give a youngster a great starting point for a wider variety of projects. When it comes to experienced woodworkers who already have extensive shops and all the tools you thought could exist, Sabiha suggests focusing on high quality items which people may not necessarily want to buy themselves. These come nicely boxed, adding to the gifting experience, Sabiha said. Similarly, Cooper recommends going with Blue Spruce tools, which are a high quality upgrade for many woodworkers. He is a particular fan of these because many of them have had their wood handles or mallet heads infused with a polymer resin for exceptional durability. 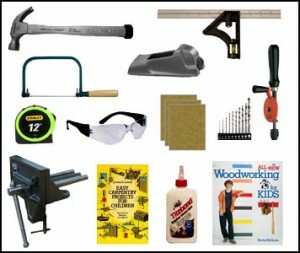 Woodworking tools can be a big investment, especially if you are unsure of what type of work someone might want to try. Instead of going “down the rabbit hole” of finding the perfect tool, Cooper said pre-purchasing a class is a great option. For around $100, he said specialized classes let beginners identify their interests, from carving to turning to furniture making, and also allow them to get hands on help finding the starter tools they need. If all else fails, Sabiha and Cooper both suggest going with a Gift Certificate and letting your friend or family member choose exactly the tool or item they have been saving up for. As an added bonus, Highland prints their gift certificates on actual wood! To make a gift certificate more personable, you can pair it with a book. For adults, Cooper recommends The Anarchist’s Tool Chest, which is a detailed guide to tools and what to have in your shop, or a period design book perfect for a coffee table conversation piece. 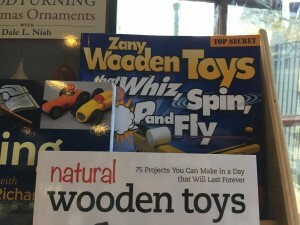 For younger, aspiring woodworkers, Zany Wooden Toys is a fun choice, Cooper said. To fill up stockings, Sabiha said focusing on small safety items is a good route as they are not too expensive. For example, she suggests getting gloves, thumb guards, or safety masks, especially if you are also gifting woodworking tools. Cooper also recommends inexpensive tools such as Center Finders, which can simplify work for recipients. And if you need anymore gift ideas, take a look at the Highland Woodworking 2016 Gift Guide for dozens of more ideas!